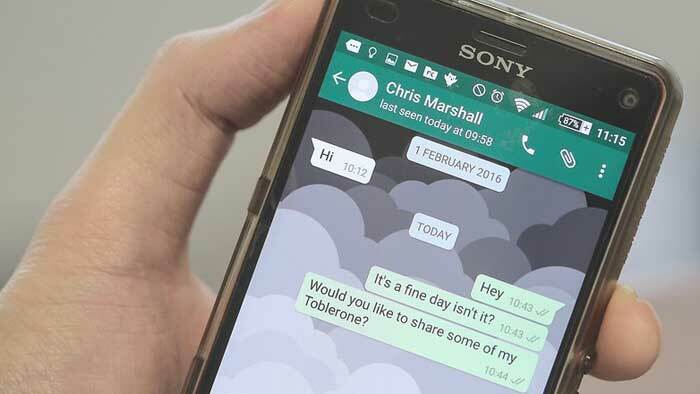 Messengers finally ousted SMS from our life. 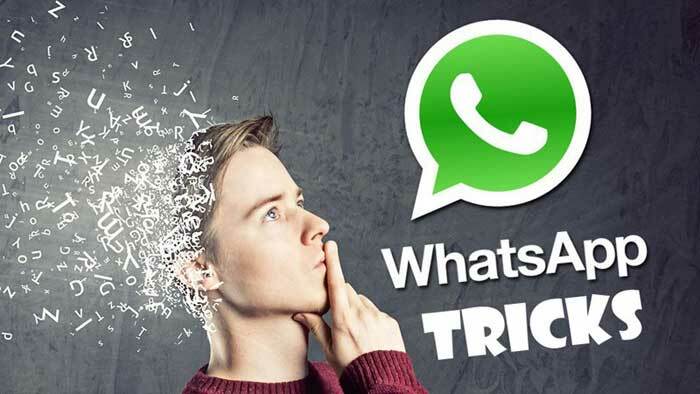 Here we collected some very simple, useful and interesting tricks on WhatsApp messenger, which you definitely should enjoy while using. The function allows you to delete messages for all recipients and on all devices. This means they will disappear not only from your messenger but also from the recipient’s device. This can come in handy if you mistakenly sent someone something wrong, made a typo, regretted something, and so on. Scenarios of using are limited by your imagination only. You can only delete messages within 7 minutes after they are sent. Remember, that if someone has already opened and read the message, erasing it will only prevent him from taking a screenshot or finding a letter later. In addition, there is a way to bypass this function and still read the deleted message. With the help of this function, one from many beneficial tricks on WhatsApp, you can, for example, monitor a child… well, or a husband (wife). The function is turned on or off willingly by the user himself. With the help of geolocation data, you can easily tell your friends where to find you, tell them you are safe or share your route. The function is protected by end-to-end encryption and allows you easily configure and control who you share your geographic data with and for how long. To enable the feature, open a chat with the contact or group with whom you want to share your location. Click “Add” and select “Place / Location”. There you will see a new option “Share geo-data”. Select how long you want to share your location, and click “Send”. Now you can send a file of any type to other users. Previously, the application was limited to sharing documents in .pdf, .docx, .xlsx, and similar formats. It was even impossible to send a file with a picture. Technically, it was possible to exchange images, but they were compressed during the transfer. Now any file types are available for transfer through the pop-up window Document. 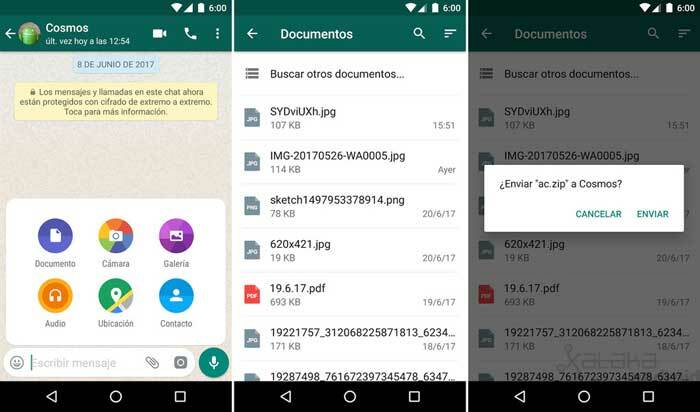 The application tracks all files that are in the “Download” folder for Android or iCloud Drive for iOS, including music, photos, videos and others. Picture-in-picture or PiP mode is a new feature of Android Oreo, which allows any video continue working in a small window, even if the main application has been removed from the screen. WhatsApp Android uses this function so that the user can leave the video call in a small window, and then turn off the messenger and switch to something else on his smartphone. It is convenient, isn’t it? WhatsApp status can now be updated according to your mood changing its background. Everything you need is to write a piece of text, select the background color and adjust the font. You can also refer to other websites directly in the body of the message. Also, you can combine photos and videos to make them look like Snapchat. Do you want to always be able to say “oh, but I did not see your message”? In doing so, you will see everything. This requires special configuring of “Confidentiality”. To do this, go to WhatsApp’s “Settings” and select “Privacy”. Next, decide who will see the time of your last online visit: all or only your contacts. Have you noticed that all photo and video files received in the chat rooms are automatically stored on your device? Did you have to get into the habit of immediately deleting all the files or are you waiting until the level of such photo-video files reaches a critical level? Or you can just go into the WhatsApp Settings > Chats > Media. With this option disabled, the files will not clog your smartphone. A strikingly convenient and simple web version is available on the web.whatsapp.com website. No installations and registrations. You do not need to fill in anything at all. Open the website web.whatsapp.com, then on your smartphone go to the WhatsApp > Web / Computer Settings and scan with the smartphone’s camera the QR code that you see on your screen. The entire messenger interface is immediately transferred to the screen of your PC. Do not forget to make sure that WhatsApp has access to the camera to scan the QR code (the smartphone’s Settings > the WhatsApp > Camera). Important: do not turn off your phone while using the program on the computer. Do you need to show someone a correspondence or just save it somewhere? It’s simple. On iOS: in the desired chat, touch the name of the contact, scroll down and select “Export chat”. You can forward all correspondence with files or text only. Then choose where exactly you want to copy the chat (in the mailbox, another messenger). You can find many interesting and useful options if you go to the menu of a specific contact. While being in the desired chat, click on the name of your interlocutor. You will be taken to the contacts menu. Here you can, for example, put a special notification sound on it that will be different from all others (notifications – the sound of messages) or make sure that this person does not bother you for a while. This feature is only available on Android devices. In the desired chat, click the menu button and select Add Label. Need to save some message from the contact? For example, an address or other valuable information so that you can quickly find it? Hold the desired message until the mini-menu appears, click on the asterisk. How to find these messages after? from a specific contact – in his profile (in the chat room you need to click on the name and the bookmarked messages). These messages are located here: Chats > Menu > Bookmarked messages. You need to quickly and accurately tell or show where you are? Examples of such situations can be a lot: you are lost or want to show something interesting to your pals. Being in the chat, click on the icon at the bottom left of the screen and select “My Location” on the menu. You can send the current location or choose from the list provided. To find out exactly when the message was delivered and when it’s read, just swipe on the needed message from right to the left (iOS only). Do you have a password on your smartphone, all possible security settings in the messenger activated, but you can not get rid of the feeling that your secrets are in danger? Put the password directly on WhatsApp! (This option is also for other messengers). Developers of different applications have taken care of the extra security of your correspondence. For example, they are a “WhatsApp lock” or “Passcode for WhatsApp”. If you use such an application, all your correspondence will get additional protection.